Do Certain Foods Speed Up Your Metabolism? Just because your metabolism is ruled by genetics doesn’t mean you can’t boost it. So the question becomes, do certain foods speed up your metabolism? We all know a higher metabolism burns more calories and therefore can help you if you’re trying to lose weight. But did you know that there are a list of foods that increase metabolism. There has been so much talk about eggs and cholesterol. One study says to stay away another says to eat them up. But there is no need to be confused. Egg whites are a all natural, cholesterol free option that’s loaded with high quality protein and vitamins. They are also filled with branch-chain amino acids which keep your metabolism energized. Feel like you're not creative enough? Then try some of these amazing recipes and add them to your diet. Consuming lean meat has many benefits. They have fewer calories than their fatty counterparts, are high in protein, and packed full of vitamins and nutrients. Lean meat is a good source of iron and vitamins B3 and B6. All three of these help to boost your metabolism and being deficient in any will actually slow it down. Lean ground beef contains coenzyme Q10 which is a powerful antioxidant that helps supports your metabolism. Chicken is also a great option and has a whole list of essential vitamins and minerals that fuel the body. Everyone’s been told to drink 8-10 glasses of water a day. But did you know that even being slightly dehydrated will slow your metabolism down. Drinking water increases energy and relieves fatigue. Water also helps to flush out toxins which can negatively affect metabolism. Try drinking your water ice cold because it requires more energy from your body to warm it up. Take it a step further and do an ice bath which will send your metabolism soaring. These little gems pack a powerhouse full of fat-burning potential. 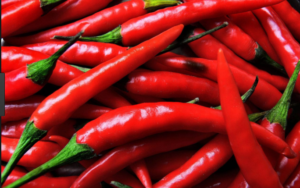 This is due to capsaicin, a chemical compound that revs up metabolism. But a little goes a long way. You only need to add a tablespoon of diced chili peppers to a meal once a day to get its benefits. Be careful though, these spicy things can cause heartburn in some people. So yes you don’t have to kick your caffeine habit. Studies show that coffee drinkers had a metabolic rate 16% higher than those people who drank decaf. Caffeine is a central nervous system stimulant, so that cup of joe can burn 100-175 calories per day. Coffee is also shown to decrease hungry and aid in weight loss. Just be sure to drink it black so you don’t cancel out its benefits. Some people consider green tea to be the healthiest beverage on the planet. It contains a powerful antioxidant called EGCG which in some studies has shown it to promote fat burning. Green tea has other antioxidants called polyphenols which aid in metabolic function. Lastly some studies have show that it can even make you smarter. This beverage also contains caffeine and an amino acid called L-theanine. These two work together to improve brain function. Milk is one of the best sources of calcium. Studies have shown that consuming calcium can help your body metabolize fat better. It also promotes strong bones and can even lower blood pressure. 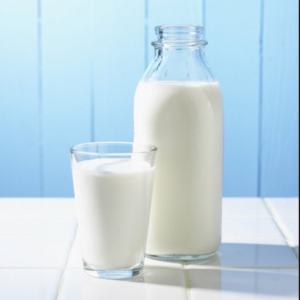 The lactic acid in milk helps to remove dead skin cells and the vitamin A helps to eliminate free radicals. So drinking milk can make you stronger, younger looking and burn more fat. So drink up! Whole grains help to boost metabolism and burn more calories because the body requires more energy to digest them. They contain fiber which can help control blood sugar, decrease bad cholesterol and even reduce the risk of certain cancers. In addition, whole grains are packed with vitamins and minerals like B12 and magnesium which can increase your metabolism. Just be careful and read labels to insure you’re getting whole grains and that they are not mix with refined grains or added sugar. Some experts say lentils should be a staple in everyone’s diet. They are low in calories and easy to prepare. 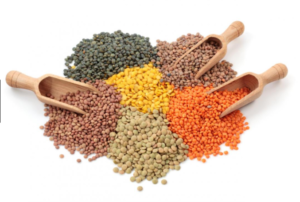 Lentils contain high levels of soluble fiber which lowers cholesterol and helps control blood sugar. They also are rich in iron which increases energy and your metabolism. Overall they are a good choice for your diet. We all know that you exercise to increase metabolism. But by eating these nine food items you can also help the cause. So if you ever wondered how to eat more calories without gaining weight then try these foods. 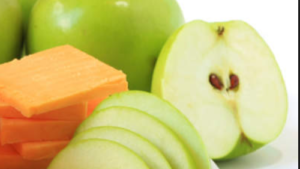 We all have to eat so why not choose some foods that help you burn more calories. So add some of these to your diet and see how they can benefit you.